I don't read comic books. I've never playd a video game. I have little interest in sci fi/fantasy. so I've never been to a comic con. however there's one in my backyard. so I decided to see what all the fuss is. welllllllllll... one waits in line for too long to pay too much to be pushd around by too many people. I didn't know any of the artists there. but there were a number of actors. of course it was disconcerting to see them asking from $20-$40 for an autograph. I heard Fred Williamson tell an attendee "there ain't nothin' free here homie." watching them pocketing folding money isn't a happy memory but I guess this sort of thing is a way of supplementing an income in a business where work isn't always available. I was able to have a quick conversation with Keith Coogan abt his grandfather. 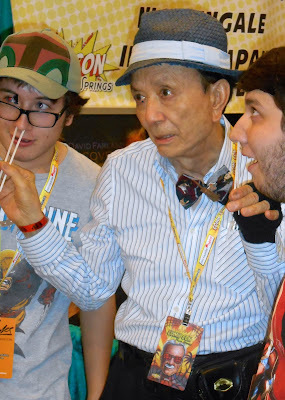 & it was exciting to see a venerable actor whose career spans more than 60 years -- James Hong. 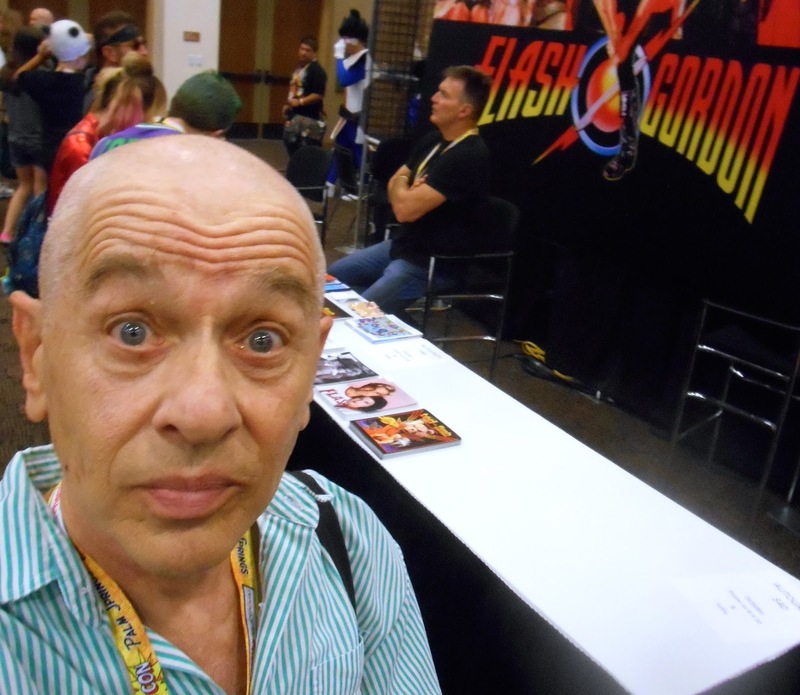 behind me is Sam J. Jones who I first encounterd decades ago posing naked for Playgirl under a different name. I don't regret going but see no need to do this again. & of course I'm happy for the community. I saw tons of dollars being dishd out. & with many out-of-towners coming as well this has to be a cash cow for the city. 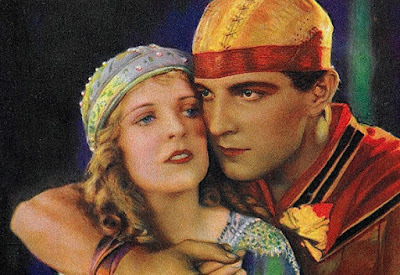 the release of yet another version of "Ben-Hur" is reviving interest in the silent version. the blog "Old Hollywood in Color" posts some dazzling stills as well as this banner with a sensational profile of May McAvoy. & here she is again with leading man Ramon Navarro. most of you have seen this snapshot of me taken with May & our mutual friend Lois Wilson years ago. it's the only picture I have with her & reminds me of her sense of humor. a lovely lady. "Ben-Hur" was hardly her best performance but if it brings her back into the conversation so much the better. 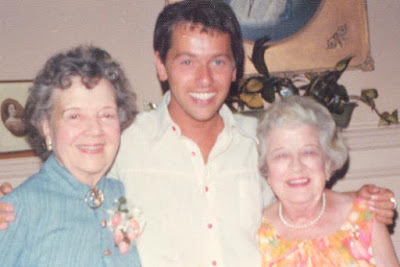 since opting for sobriety 32 years ago my life has fallen into patterns. unless there is reason I tend to go to bed by 9:30 & rise at 5ish. last nite Nature's p.r. team was promising an explosive sky. so I stayed up late to observe the meteor shower. by 12:30 I'd seen but one shooting star. so my exhaustd body hit the sheets. I did wake at 3 to go outside again. this time I saw nothing extraordinary. I have seen this display before & was hoping for the best. as often happens when these events get hyped this was a disappointment. my memory of it from a visit in 1988 was that crime made it a menacing place. I seem to recall there was a murder outside our hotel our first nite. 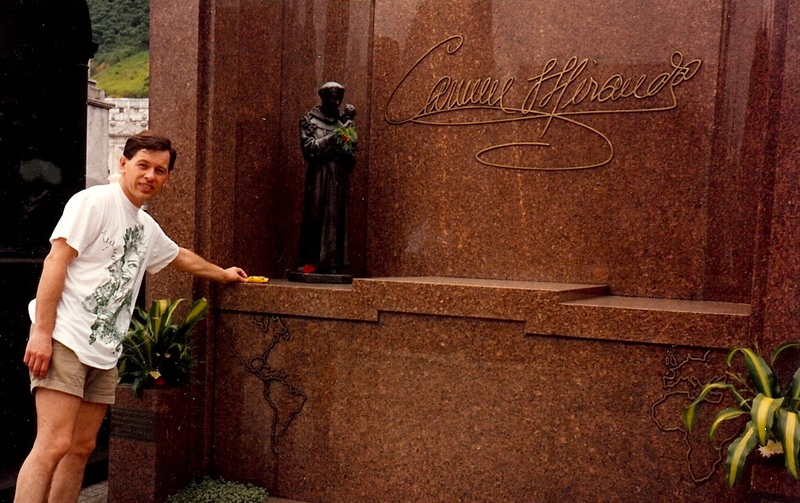 but I still have one glorious memory: placing a banana on Carmen Miranda's grave. & yes I still have that Carmen t-shirt & an album of hers purchased at her museum. also a souvenir plate from Sugar Loaf & watermelon sheets.